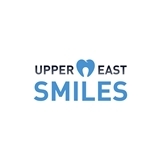 Upper East Smiles (New York) - Book Appointment Online! **Please Note: Practice Requires 24 Hours Notice for any Cancelled or Rescheduled Appointment** Achieving quality dental care shouldn’t be difficult. Here at Upper East Smiles, we make it simple to achieve your healthiest, most beautiful smile in a stress-free and comfortable setting. Whether it be our cosmetic dentistry work or our dental implants. Our highly educated and qualified general dentists and specialists will work together to treat patients using the best treatment modalities. Through this comprehensive and interdisciplinary practice model at the Upper East Smiles, a treatment plan and approach that is unique for each individual patient will be formulated. Upper East Smiles welcome patients of all ages (from pediatric to adults) to experience this unique, comprehensive practice that focuses on interdisciplinary approach to dental care. Dr. Choi was extremely thorough in explaining everything to me in a way that I would understand. She was very knowledgable and friendly, which made me feel so comfortable during the appointment. Dr. Chung was very thorough in explaining my x-ray results and future treatments. I highly recommend him! Everyone and every part of the experience was a 10/10! Almost no wait time, though I went in the middle of a weekday. Dr. Smart was friendly and personable, but did give the impression that he was rushing through my appointment. The hygienist and x-ray technician were great to work with. She was very pleasant and sweet with my son. My son had a great experience for his first time.